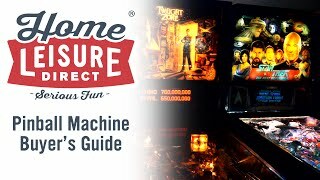 At Home Leisure Direct we offer the largest selection of pinball machines in the country and keep a rotating stock of many of the best machines in our Bristol showrooms, all set to freeplay. Whether you’re looking for a new pinball machine, a vintage pinball machine, a pinball from one of the great manufacturers such as Stern, Williams or Bally Midway, or even an incredible virtual pinball machine, we’ll be able to help you find exactly what you want. 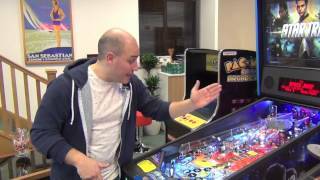 What Are Electromechanical Pinball Machines? 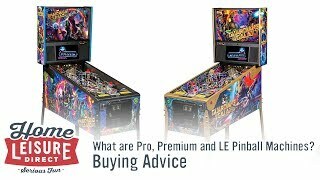 What are Pro, Premium and LE Pinball Machines? 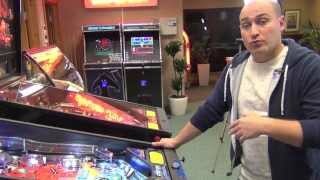 What Are Solid State Pinball Machines? 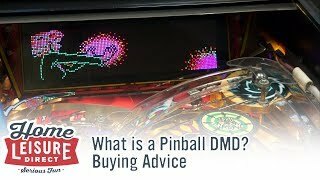 What is a Pinball DMD? 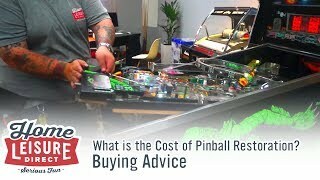 What is the Cost of Pinball Restoration? 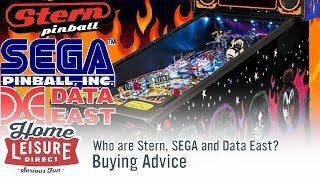 What are STERN, Data East and SEGA Pinball Machines? What is the Value of my Pinball Machine? 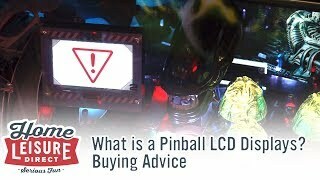 What is a Pinball LCD Display? 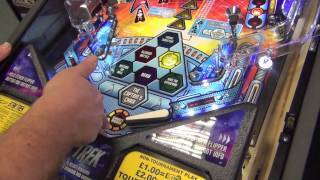 Our award-winning team are all experts on pinball machines and will be able to advise you on the right machine for you. 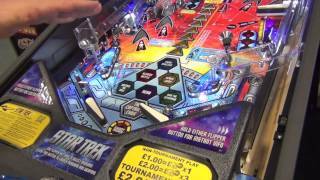 We have a true passion for pinball that you simply won’t find at other retailers; our staff play pinball in their spare time, and some own their own pinball machines at home. 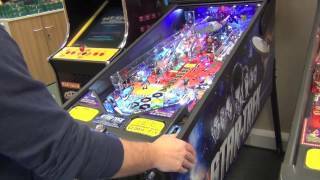 We have a dedicated pinball technician on-site and we have great relationships with all of the current pinball manufacturers and suppliers. We can confidently say that no-one does pinball like we do. 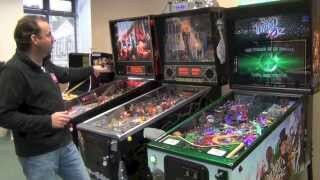 We have a fantastic selection of new pinball machines on sale, many of which are on display in our showroom. While pinball manufacture is not as common as it was in the 1970s, new machines are still being produced by manufacturers such as Stern and Heighway. For those pinball fans willing to take off the rose-tinted glasses, it could be said that some of the pinballs being made today are the best ever. 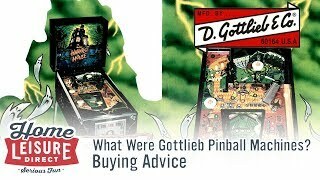 Manufacturers have had decades to learn new techniques and modern technology enables the creation of new pinball machines that simply wouldn’t have been possible decades ago. 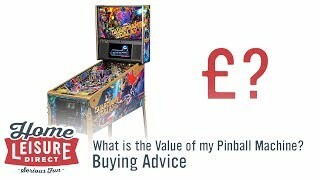 Although brand new pinballs come with incredible features and technologies, for many there’s simply nothing better than owning one of the vintage pinball machines they experienced in arcades, pubs and so on back in the day. We keep a stock of the best we can find, cleaning them up and restoring them with love so that they play perfectly. Our pinball engineer works tirelessly to ensure that these vintage pinball machines are as authentic as possible, replacing parts with modern components only when necessary. 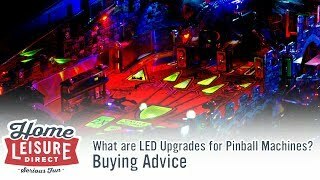 We also fit modern lighting to classic pinballs, replacing dingy and broken bulbs with bright and long-lasting LED bulbs, but only when we feel this will enhance a pinball rather than take away from its character. 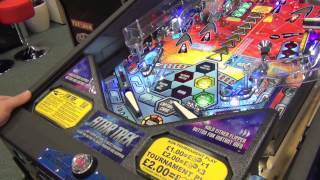 Stern pinball machines are renowned as some of the greatest licensed arcade pinball games and include such famous names as AC/DC, TRON, Family Guy, Simpsons and The Pirates of the Caribbean in their repertoire. 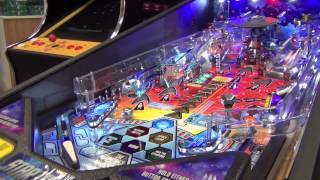 Stern is the biggest pinball manufacturer in the world, releasing three or four big pinball titles a year, and are known for their electrifying gameplay, impressive graphics, and immersive sound effects. 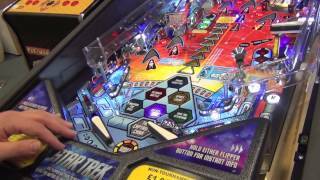 Stern pinball machines are some of the most successful and popular pinballs of all time. 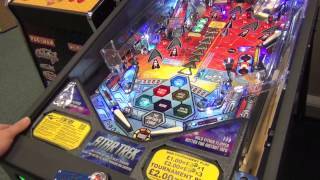 For those of you who crave a collection of tables but don’t have the space for them, or simply cannot make up your mind as to which machine you'd like, virtual pinball machines could be the perfect solution. 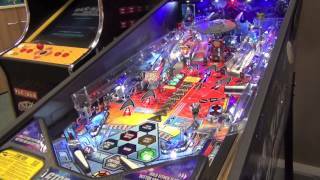 Using a custom cabinet and specially designed pinball software, virtual pinball machines come pre-loaded with a huge selection of both pinball classics and even unique custom tables. Many tables are almost impossible to find these days, and many more have suffered over the years to the point of no longer functioning. 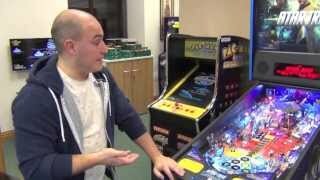 A virtual pinball machine allows you to have all the pinball tables you want, in a single machine, with no chance of components breaking on any of them. Due to their enduring popularity, we always try to keep a stock of Williams pinball machines available for the enthusiastic pinball fans. 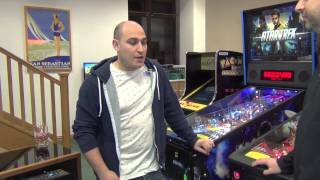 Williams have created some of the most popular and critically-acclaimed pinballs of all time, including the incredible Medieval Madness, as well as many well-loved licensed games such as Demolition Man and Indiana Jones. Williams pinball machines are often real collector’s pieces, which we lovingly restore for our customers. 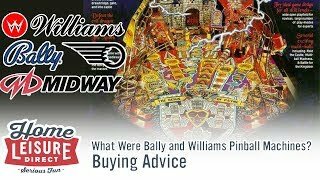 One of the true greats of pinball manufacture, Bally Midway pinball machines are rated among the very best of all time, with The Twilight Zone and Theatre of Magic frequently topping polls of the best solid state pinball machines, and Evil Knievel often being called the greatest electro-mechanical pinball ever made. 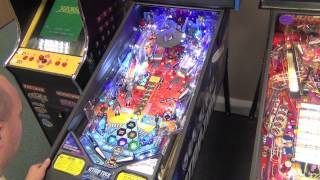 Bally Midway pinball machines are often rare or hard to find, but we restore them whenever possible to give you a chance to own one of these amazing machines. We hope by now you realise that we have a true passion for pinball, born out of a genuine love of the game. We always keep a large stock of pinballs in our showroom and try to share our passion with you, our customers. Whether you're a lifelong fan of the game or have only recently discovered it, we invite you to come to our showroom and see the huge number of machines we have restored. 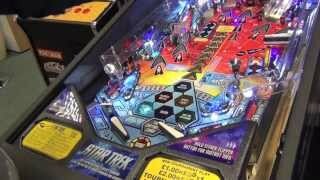 We always try to use authentic parts to keep these pinballs in the condition we would want them for ourselves, and only upgrade to modern parts when the pinball desperately needs it, or would benefit at no cost to the machine’s aesthetic. We understand with busy schedules, family life and work commitments not everyone can visit our showrooms. 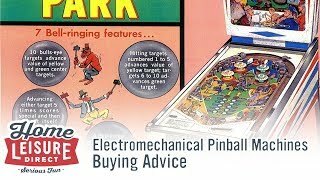 If you are unsure about any aspects of your new pinball machine, just call the team who will happily help you over the phone. We will give you all the advice you need, and we will never misrepresent an item just to get a sale. You can trust us to offer you honest advice, all of the time, so that there are no unwanted surprises when your item is delivered. We believe visiting us will be the most fun showroom visit you will ever have. Whether you’re looking for a classic vintage pinball machine, a brand new pinball machine for a brand new experience or one of our other fantastic games room products, we look forward to welcoming you soon with a freshly brewed cup of coffee and a truly enjoyable experience. Take our Showroom Tour to see what awaits you. 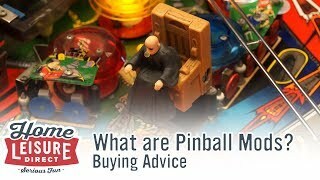 Buying a pinball machine can be a real investment, so let us make that easier for you. We offer Buy Now Pay Later and low interest payments (19.9% APR) on most of our machines, with no deposit to pay upfront and flexible payment terms (subject to acceptance). Please see our terms and conditions for more details. We work hard to make sure your pinball purchase is as stress-free as possible from start to finish, and having our own delivery service takes away a major headache that might occur with other retailers. Our new pinball machines are collected directly from the manufacturer and transported straight to you, giving us full control over the process and ensuring your machine is treated with the greatest of care before it gets to you. 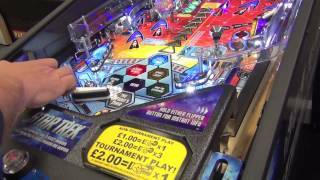 Our refurbished pinball machines are fully serviced from top to bottom, using original parts where possible and high-quality replacements when necessary, and then transported to you by our expert delivery team. 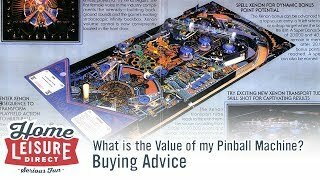 Pinball Machine Buying Advice - articles and videos covering everything you need to know about buying a pinball machine, whether new or vintage. 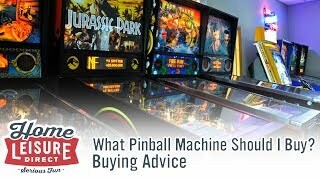 Have Serious Fun choosing your new pinball machine.